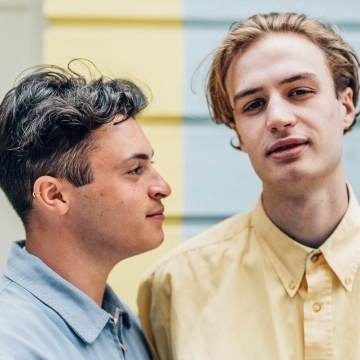 Kawala - Starting their musical journey while studying in Leeds, North London duo Jim (vocals) and Dan (acoustic guitar, vocals) quickly developed a distinctive sound. Deriving from their joint love of close vocal harmony, and rhythmic finger-style acoustic guitar. 2018 was quite the year for Kawala. They released their compelling debut ‘D.I.L.Y.D’ EP, which featured singles ‘Small Death’, ‘Do It Like You Do’ and 'Funky'. Amassed over 9 million streams. Played their third sold out London headline show, as well as appearances at Liverpool Sound City, Dot To Dot Festival and Neighbourhood Festival.